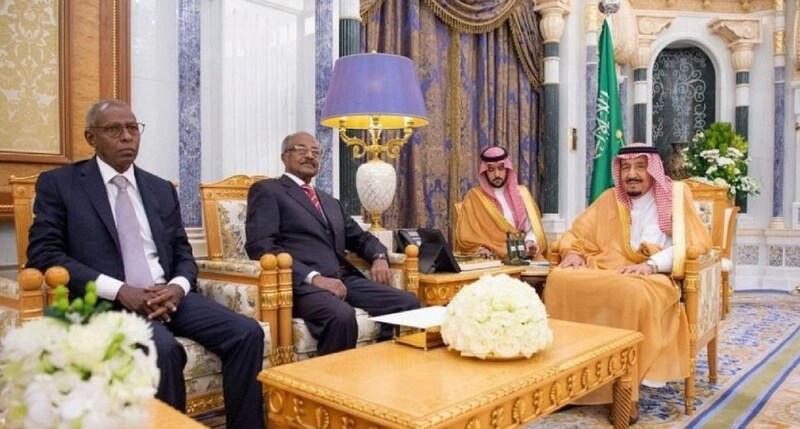 Senior Eritrean delegation composed of Mr. Osman Saleh, Minister of Foreign Affairs and Presidential Adviser Mr. Yemane Gebreab held talks today, 8 April in Riyadh with Dr. Ibrahim Abdulaziz Al-Assaf, Minister of Foreign Affairs of the Kingdom of Saudi Arabia. 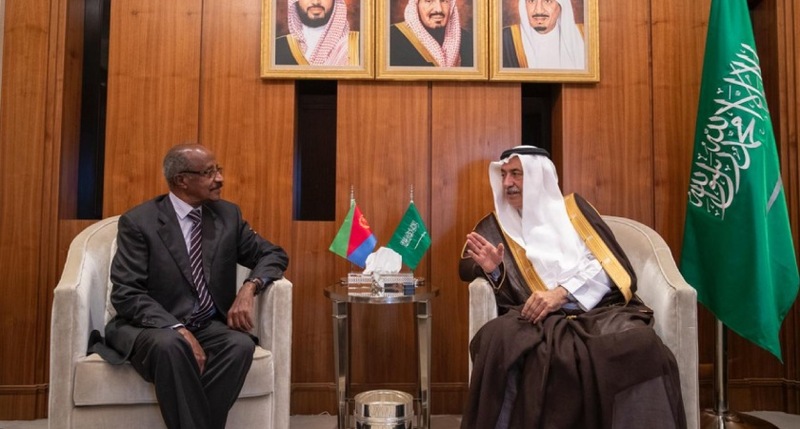 During the meeting, the two sides reviewed bilateral relations between the Kingdom of Saudi Arabia and the State of Eritrea and also focusing on concrete measures to strengthen and consolidate mutual development, trade and investment ties. The two sides also discussed on the developments in the Horn of Africa as well as the security in the Red Sea region. 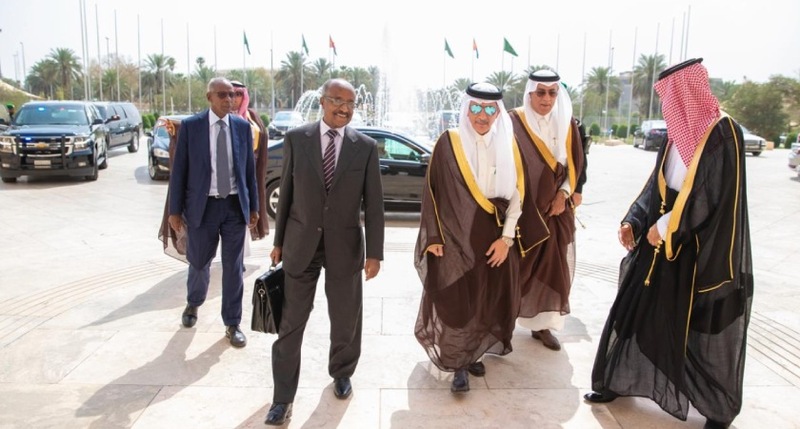 During its stay in Saudi Arabia, the delegation will meet and hold talks with other Saudi officials, businessmen and the Eritrean community in that country. The meeting was attended by a number of senior officials of the ministry as well as Eritrea’s ambassador to the Kingdom Saqr Al-Qurashi. 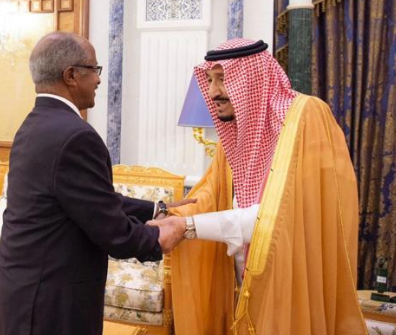 Eritrea and Saudi Arabia relations are gathering momentum. 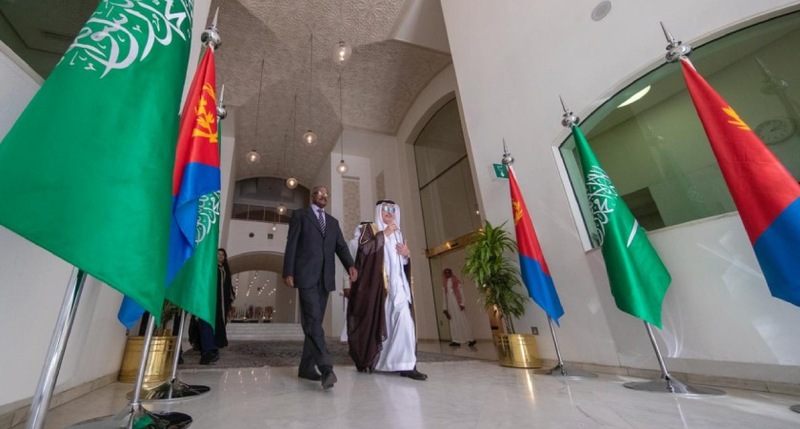 Both countries are keen to develop their development cooperation and Saudi business people are starting to invest in Eritrea. In his message, President Isaias lauded the Kingdom for its support to Eritrea and the peace with Ethiopia as evidence by the signing of the Jeddah Agreement. * Shabait and Saudi Press Agency contributed to the story.